GetCertified is an online examination & certification solution which includes automated test and answer generators, a certificate designer, reporting system, customizable branding, and a range of third party integrations. The software is suitable for use in the corporate sector, public sector, government, military, schools, colleges, universities, and more. GetCertified organizes questions into question pools which are available only to their creator by default, but can be shared with other users. 8 question types are included, and users can control the frequency, difficulty, and points or penalties for each question. Pictures can be added to questions and answers, and users can also import questions from Excel files. 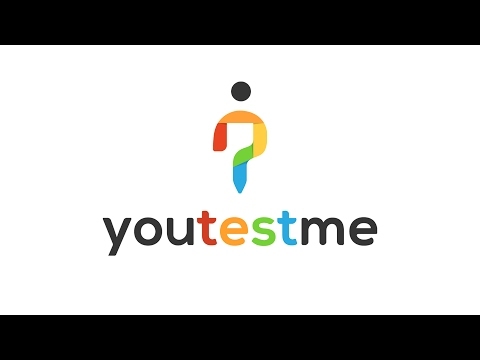 The test generator automatically generates unique tests using the question pools, with users able to define test criteria in advance. Tests can also be created manually, and users can schedule tests, control the pass-fail border, and create custom certificates to be awarded for a pass grade. GetCertified allows users to generate a range of reports to compare test scores between individuals, between groups, or comparing an individual’s performance to their group’s average. Question statistics can also be viewed, including the success ratio for individual questions, and data can be visualized in different chart types. - I like that this can be accessed anywhere and offers layers of applications so you can use it as simply as you want, or use it for more complex test systems. - I actually do not like the name at all- it does not say at all what it does or for whom it is. It is also too expensive and not used very often, so hard to sync other systems. I would recommended Get Certified to HR departments. We use Get Certified in pre-employment testing and with help of a lot useful statistical data that Get Certified offers. We can create individual training courses and tests. Answer generator is what caught our eye in Get Certified. That has the ability to randomize answers in questions, thus minimizing the chance of cheating on test. The test generator allows users to create tests automatically from question pools, according to predefined criteria. Questions are organized into multi-leveled pools, and users can select from 8 question types, add pictures to questions and answers, and control question frequency, difficulty, points and penalties. Users can be assigned roles and granted different permissions, and organized into groups and subgroups, allowing the tracking of individual employee and overall department progress. The login page can be customized with company logos, colors, and a custom domain, and individual profiles can also be branded. Users can generate reports to compare individuals’ test results, different groups’ results, individual and group results, and more. Below are some frequently asked questions for GetCertified. Q. What type of pricing plans does GetCertified offer? Q. Who are the typical users of GetCertified? Q. What languages does GetCertified support? Q. Does GetCertified support mobile devices? Q. Does GetCertified offer an API? No, GetCertified does not have an API available. Q. What other apps does GetCertified integrate with? Q. What level of support does GetCertified offer?